Nondestructive testing or non-destructive testing (NDT) is a wide group of analysis techniques used in science and technology industry to evaluate the properties of a material, component or system without causing damage. The terms nondestructive examination (NDE), nondestructive inspection (NDI), and nondestructive evaluation (NDE) are also commonly used to describe this technology. 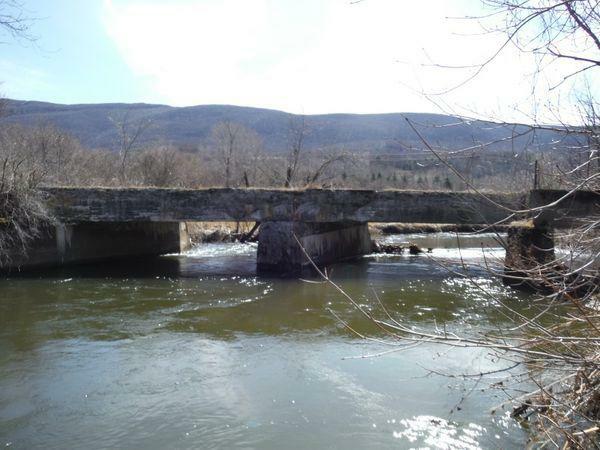 Extensive concrete and corrosion evaluations are performed by qualified concrete engineers on bridges, marine piers, wharfs, natural draft concrete cooling towers, and parking structures. Condition assessments like this also use non-destructive testing of reinforced concrete is an excellent compliment to visual inspection and destructive testing. Nondestructive concrete evaluation & testing can also be successfully used to evaluate post-tensioned concrete structures. This information is used to develop repair and rehabilitation strategies that will keep structures in service. Existing buildings, parkades, bridge decks, water tanks, pccp pipe, wind turbine foundations, and waterfront piers including concrete piles are good candidates for NDT Services. Non-destructive testing of new concrete construction defects such as misplaced rebar or low strength concrete, honeycombing, concrete cracking and concrete corrosion troubleshooting can also compliment visual and tactile inspection, concrete sampling, and laboratory testing. How is concrete strength evaluated from existing structures? Concrete strength can be determined by removing cores for strength testing and sending them to a laboratory for compressive testing. The tensile strength of concrete and the quality of surface preparation and bond of repair mortars, concrete coatings, and concrete overlays can be evaluated with direct tensile pull off testing per ICRI Technical Guideline No. 210.3 and ASTM standards. The in-place compressive concrete strength can also be determined non-destructively using ultrasonic pulse velocity where a stress wave is created on the concrete surface. The speed of travel of the particle motion is correlated to the strength of the concrete. NDT methods like pulse velocity can also be used to confirm the concrete crack depths and for quality control before and after epoxy injection repairs. When is GRP used to assess structures? Ground penetrating radar is used to locate rebar or post-tension tendons prior to drilling or coring. It can also be used to qualitatively asses concrete condition. NDT testing companies should have demonstrated experience. What techniques are used to evaluate post-tensioned concrete bridges and other structures? Post-tensioned structure evaluation begins with a visual inspection and can include corrosion potential testing and physical and chemical testing. Non-destructive test methods are also employed such as GPR evaluation to locate post-tension tendons, impact echo testing to find voids and soft grout, video borescope evaluation to view voids and condition of high strength wires for corrosion, and Post-tech moisture testing to evaluate corrosion of unbonded post-tensioned tendons in building and parking structures. How is concrete cover depth determined? It is common to use pachometers with pulse induction and microprocessor technology. 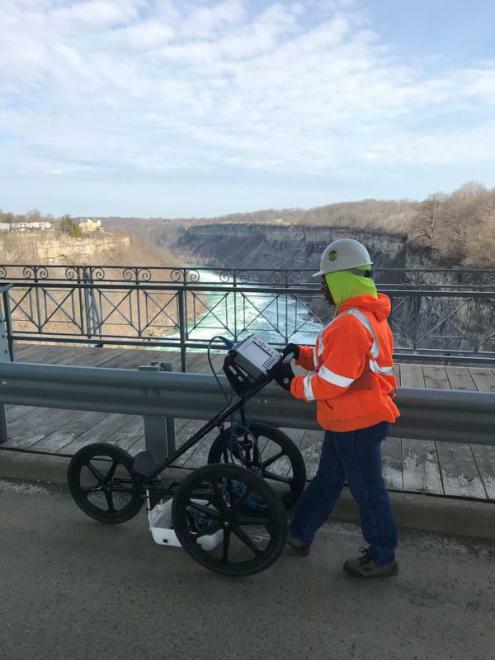 Concrete cover meters and rebar locators or ground penetrating radar can be used to determine how close reinforcing steel is to the surface of concrete, a key factor for concrete durability and service life modeling. What is impact echo testing of concrete used for? Similar to UPV testing for cracked or deteriorated concrete, impact echo testing using sonic/ultrasonic devices to measure reflected acoustic waves. This process will determine the concrete thickness, detect concrete delaminations, and detect voids in concrete. Impact echo is more sensitive than hammer sounding, chain dragging and rotary percussion using the delamination tool to identify concrete delaminations per ASTM D4580. When combined with ultrasonic pulse velocity, it is the best non-destructive sonic/ultrasonic technology. This combined impact echo / pulse velocity testing is to locate delaminations, cracking and other weak concrete areas for repair per ASTM C1740 and ASTM C1383 and can estimate the lengths of concrete piles and timber piles. A common method is using electrochemical methods like half-cell corrosion potential testing of concrete per ASTM C876. Linear polarization testing for corrosion rate testing is concrete with equipment like GeCor and GalvaPulse galvanostatic pulse measurements. Voids can be located in honeycombed or poorly consolidated concrete using impact echo or MIRA ultrasonic tomography. Concrete slab subsurface conditions are commonly found with ground penetrating radar (GPR). 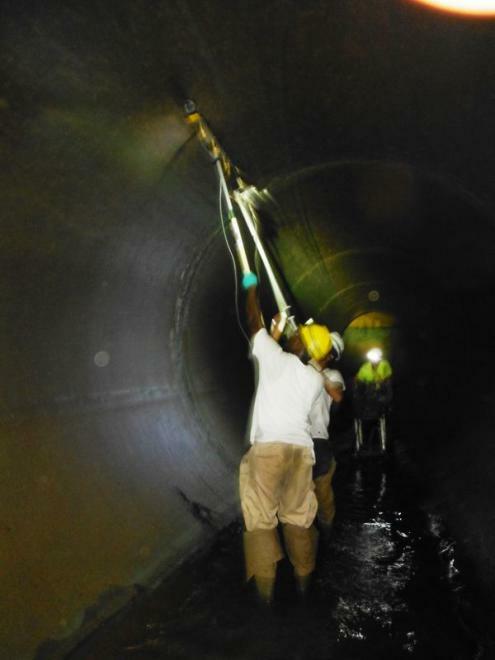 These techniques can also be used to located voids behind tunnel liners and the inaccessible side of walls and suspended slabs. Grout voids in post-tensioned bridge tendons can also be detected by experienced NDT testing companies.